60 actors aged between 12 and 85 performing the work of 18 writers – from Forced Entertainment’s Tim Etchells, to the Guardian’s Not the Booker winner Michael Stewart, to Third Angel’s Chris Thorpe, plus many new, emerging, and established dramatists in between. 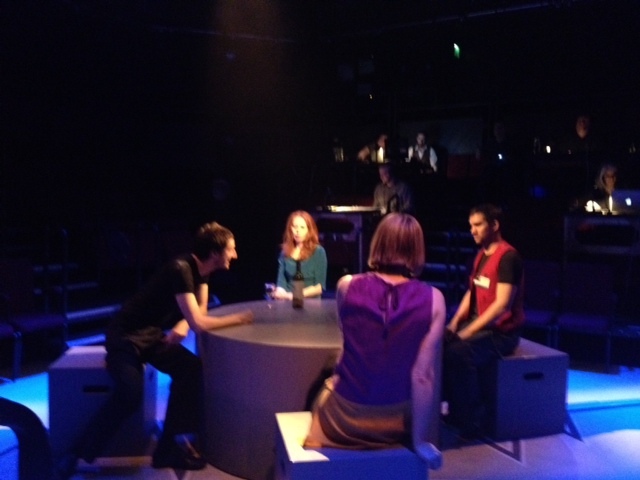 20 Tiny Plays about Sheffield, directed by Andrew Loretto in the Sheffield Crucible Studio, is a triumph. Poignant and political, filled with satire, laughter, caged disco dancing and lyrical reminiscence, here is a city in dialogue with itself, revelling in its diversity and the minutiae of experience. Sheffield’s People’s theatre (SPT) was set up by Loretto over 18 months ago, and the entire run of this, its second production, sold out even before the cast list went up. 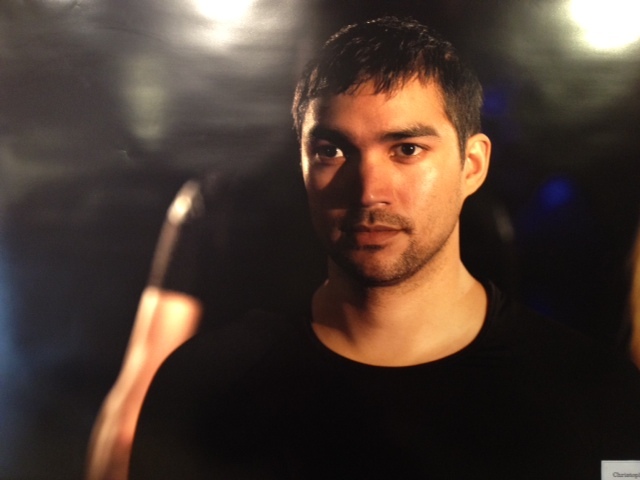 The company’s first production, Richard Hurford’s Lives in Art was both a commercial and critical success, with Loretto’s production getting a 4 star review in the Guardian – the first time I have seen a full ‘community production’ professionally and so successfully reviewed in the national press. This new production looks set to achieve the same accolades and links to today’s outstanding reviews are at the end of this post. It’s a deeply depressing turn of events in what has been a major success story in developing new audiences and engagement in the arts. We all know what increasingly difficult times we inhabit and are probably beginning to harden ourselves in preparation for the many cuts which will happen across the board as money gets tighter. I don’t envy those whose job it is to make these decisions – they have a thankless task and will invariably be damned whatever they decide – although this decision is particularly perplexing. With the best will in the world Sheffield Theatres are promising delivery of future projects, but the overwhelming concern on press night was how this will be possible given the axing of its dedicated staff member responsible for community and learning. No new posts seem to be on the horizon and few can believe the work can simply be added to the already taxing demands on what is a popular and successful creative team. The hopes are that any funding for freelance workers to deliver the programme will be offered to Andrew Loretto, should he be available, so he may finish the work he initiated and secured funding for. Only time will tell and many, including me, will be watching Sheffield Theatres anxiously to see how this difficult situation will be played out. For something very wonderful has been created in Sheffield with its People’s Theatre, an initiative inspiring loyalty and regard, which is why I am particularly pained at this turn of events after being involved in 20 Tiny Plays as a writer. I sat in the auditorium the other night and saw a coterie of actors aged 12 to 76 collaborate on Shim Shams for Blind Hummer Bees, my 5 minute contribution to this theatrical smorgasbord. I stood in the bar for hours afterwards talking to the fantastic actors this project has brought together – passionate, funny and concerned individuals, who feel something is about to be taken away from them when it’s only been theirs for 18 months. And it worries me. I am increasingly perturbed by the decisions being made in this austerity climate. I know there will always be losers in the cruel game of ‘cuts’ – but time and again I see the areas being culled are those for learning, community engagement, and participation. I fear that the arts are being taken away from us, moved from being an essential to a supplementary extra; that increasingly cultural activity and engagement is the first candidate for cuts. Engagement in the arts as consumers and creators should not be a luxury, with increasingly difficult access to all but the financially independent. I feel we have to take a stand now we’re getting a sense in which direction the wind is blowing. And it is getting chillier and chillier. Continuing my series…. Twenty questions asked to creatives: actors, poets, screenwriters, directors, sculptors, live art exponents, burlesque performers, novelists, dramatists, and anyone else who seems interesting in between… My next interviewee is director Andrew Loretto, who I collaborated with recently on 20 Tiny Plays About Sheffield, which opens next week – and is already sold out…. part of the 2012 Cultural Olympiad. 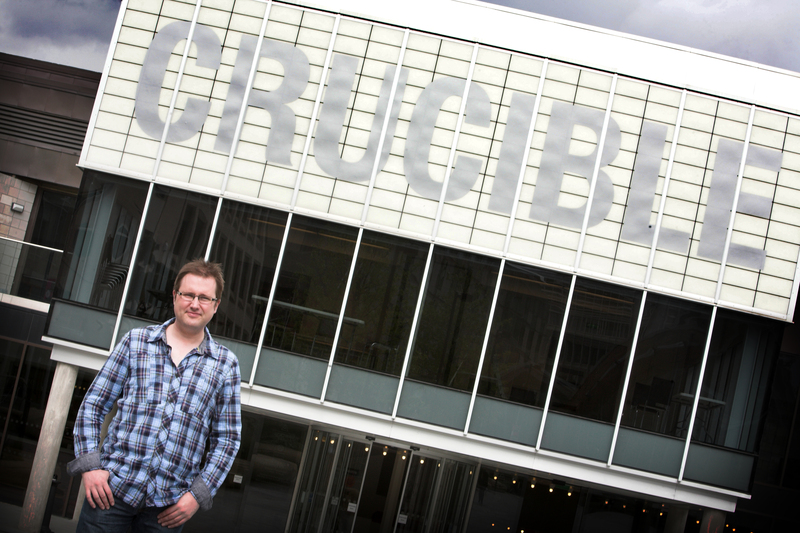 As Creative Producer for Sheffield Theatres, Andrew curated a range of projects with local artists including the Crucible 40th Birthday fortnight, Crucible Writers’ Nights nd Sheffield Sizzlers. Previous credits include: Dramaturg for Company Chameleon’s Gameshow; Artistic Director, Chol Theatre (2006-2010) – Beast Market (shortlisted for Huddersfield Examiner/Arts Council England Arts Award 2008), Space Circus (shortlisted for Brian Way Award 2009), Not For All the Tea in China (BBC2 Glastonbury highlights); International Young Makers Exchange; Sherman Theatre; Pilot Theatre; National Theatre Studio; Plymouth Theatre Royal; West Lothian Youth Theatre; Ulster Association of Youth Drama; Artistic Director, Theatre in the Mill, Bradford (1999-2003) and National Student Drama Festival (2003-2006). Getting involved with extra-curricular music activities at school in Holywood, N.Ireland. Music fired up a passion for performing and making art; getting involved with school plays led on from that. To this day live music plays a big part in my theatre work where possible. Arts provision in schools is SO vital. To be honest, I don’t actually feel the breakthrough has happened yet! 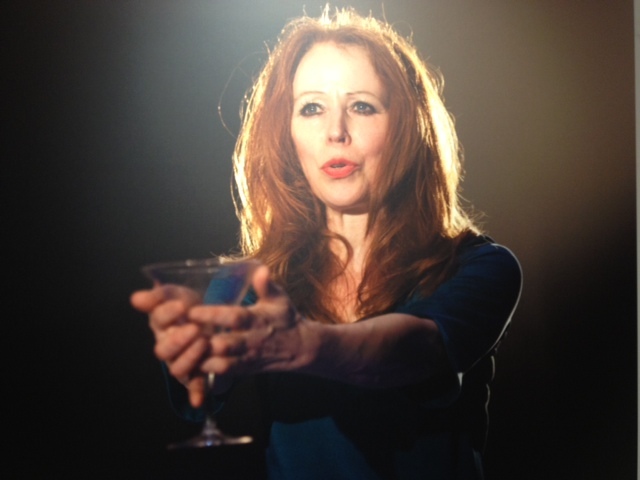 My career has been a slowly evolving one – but always with a focus on new work, multi-artform and creating opportunities for both experienced theatre artists and first-timers alike – of all ages. I guess I’m always asking organisations and individuals to take a risk on realising big ideas that can challenge the notions of what theatre is and what it can do. So in many ways that’s one of the biggest challenges – overcoming fear and/or set ways of thinking and being brave enough to forge on despite any reservations that might exist! The key is to bring on board like-minded collaborators, so that you’re not on your own. No – but I am influenced in infinitesimal ways by art in all its forms and by real life. I’ll give the politician’s answer: this really depends on the project – some pieces are led by form, whereas for others the content defines the form, and some projects have a mixture of both as prime motivator. They exist simultaneously as one in my head. It’s like asking what’s more important to make up a human being: a body or a soul? A project never finishes. But alas we have defined production and performance dates and the money only pays for so much! Yes. I don’t believe people who say they don’t. However I do absolutely understand and respect that some actors don’t like to read reviews whilst they’re still in a show. Get together with like-minded collaborators as much as you can and make your own work. Go and see as much as possible – there are lots of ways (especially for young people) that you can get cheap tickets for theatre. Do your research. Don’t leave it until your final year at university/college. Be polite to everyone – colleagues on your course will be future artistic directors/literary managers. I fancy Tate Modern. All of it. I’d convert the top floor into a bijou city-living residence, the oil tanks could be dedicated rehearsal and performance spaces to make new work with lots of people. We’d have lots of people’s parties in the Turbine Hall. Can I apply for Grants for the Arts funding for this? 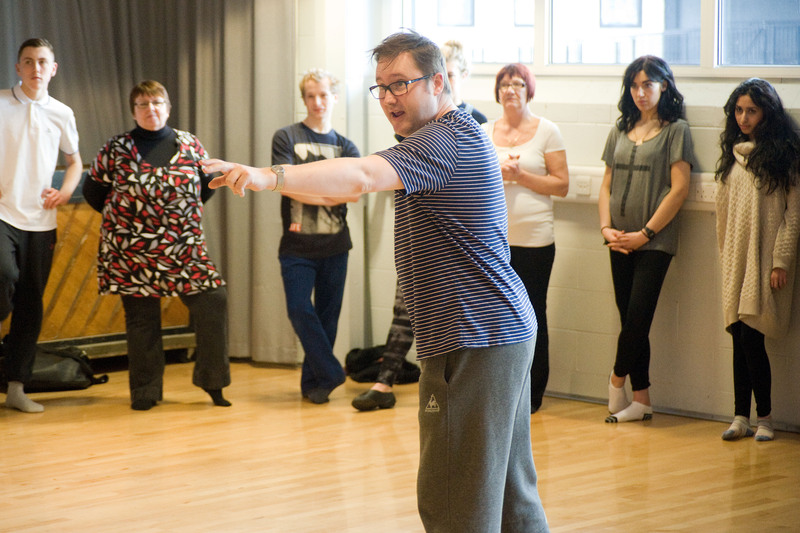 Andrew in rehearsals for 20 Tiny Plays About Sheffield, 2013. I’m about to go into production week for 20 Tiny Plays about Sheffield – a massive project with a cast of 60 actors aged 12-85, performing 20 short plays – all of different genres about perceptions of Sheffield in the 21st Century. 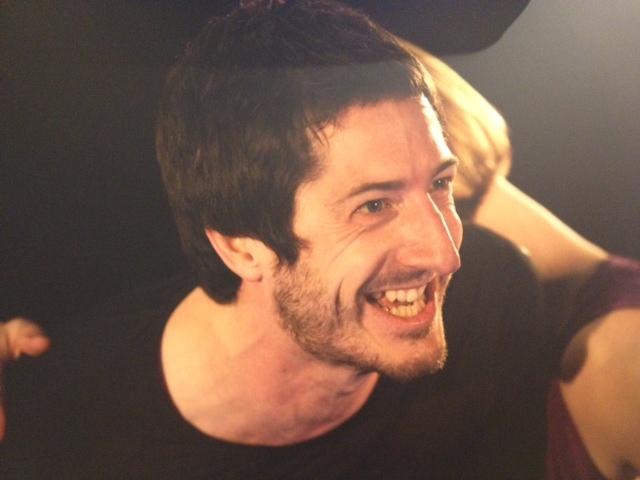 The show runs at the Crucible Theatre, Sheffield from 8-13 April 2013 and has been fully sold-out for quite some time! We’re having to put in an extra public dress rehearsal so that people can see it. The 18 writers for the project are: Andrew McMillan, Andrew Thompson, Chris Bush, Chris Thorpe, DC Moore, Helen Eastman, Kaite O’Reily, Laurence Peacock, Louise Wallwein, Marcia Layne, Michael Stewart, Pete Goodland, Richard Hurford, Russell Hepplewhite, Sally Goldsmith, Stephanie Street, Tim Etchells, Tom Lodge. I loved the recent production of ‘Constellations’ – design, writing, performances, movement and direction all knitting together seamlessly. 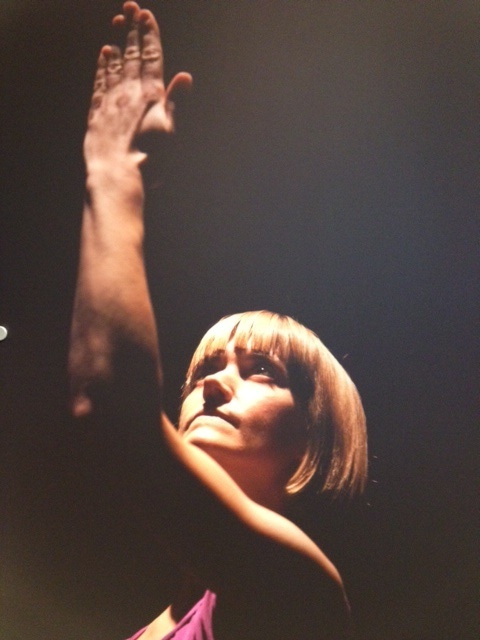 Lucy Cullingford, the movement director on the show, is one of my regular collaborators – it was a brilliant showcase for her precise, detailed and nuanced work. That I am just as entitled to have my voice heard at cultural tables as the posh Oxbridge boys and girls. Being a Celt, my default position is the ‘cultural cringe’. I’d love to get full eyesight back in my right eye (lost as the result of a violent attack in 2006) but I don’t think technology will evolve that quickly in my lifetime. Surround yourself with good friends and confidantes – stay in touch with people. Invest in those friendships, give more than you receive. And make sure they’re not all involved in the arts! Oh, I have fabulously bad review about the first full-length play I wrote. The reviewer was in a foul mood on the night he came to see the show – and I think my play just made him worse. I truly treasure it – it’s one of those reviews that seemingly starts off well, then the first cut is made. The knife plunges in and there’s a final twist at the end, leaving the entrails of the play steaming on the floor. Yep, one of THOSE reviews. Classic. I bumped into the reviewer at a Christmas party – he happily told me that the play in question was his single worst theatre experience that year. I’m happy to please. Oh it’s the personal testimonies from people who have been touched by seeing a show or by taking part as a participant and seeing how involvement with theatre projects can – literally – transform people’s lives. I guess this is a cliché, but being a director is being like a mother: you conceive the baby, give birth to it, nourish, cherish and want the best for the baby as it grows into a young person, then a rebellious teenager. Then finally you have to let your baby go out into the world on its own as an adult – very often with little thanks for all the work you did other than the occasional card or phone call. That’s what directing new work can feel like! That the majority of people in the arts are generous and kind. A minority are not so – and that’s often down to insecurities and fears. Focus on the majority. Ben Addis. Photo by Amanda Crowther. For me LeanerFasterStronger was a powerful and refreshing example of theatre which not only has something genuinely important to say, but also cares enough about its subject matter to say it in a direct and uncompromising way. I’m no sports expert and I know little about biotechnology, but like everyone else I’m currently experiencing what it’s like to live in an Olympics host nation. The play rises above the hype, the hard sell and the emotional aerobics to offer a welcome, provocative perspective on the bigger picture. It’s no easy ride and you have to work hard to keep up, which feels appropriate given the themes of the piece. The text is sophisticated, witty and fierce and keeps on throwing out ideas at a relentless pace. However, it’s always accessible and illuminating and not about trying to beat an audience into submission. Rather it’s about encouraging us to keep on pushing forward to consider what actually lies beyond the finishing line, not just for the sporting life, but also for the human race. The production sticks to the courage of its convictions by placing the text firmly at the centre, intelligently and subtly supported and enhanced by the other theatrical elements to create an effective unity. The moments when the full on debates are invaded by emotionally charged fragments of athletes’ lives -particularly the exchanges between the brother and sister torn apart by the demands of his all-consuming talent – are startling and disturbing. Throughout there’s a sustained and detailed physical underscoring, which at times bursts into the foreground with explosions of intense physical exertion, suddenly thrusting the close-up spectacle of bodies sweating and muscles straining into the faces of the audience. The theatrical container of a sports conference and specifically the late night boozy discussions of a clutch of delegates from different sports sectors – importantly none of them are athletes and only the hanger-on boyfriend of one of the women seems to participate in any actual sporting activity – provides a clever vehicle to raise and wrangle over the issues on an informed and expert level. It had all the feel of one of those councils of the gods which regularly crop up in Greek myths in which the immortals bicker, throw tantrums and settle personal scores, while casually deciding the fates of humankind with lofty and chilling disdain. Like those immortals the sports delegates have little connection and less interest in what really happens down on the ground, in the stadia, boxing rings, locker rooms, lives and minds of the athletes whose fates and futures they’re shaping over another bottle of wine. LeanerFasteStronger treats its audience with respect, while insisting we do our bit too. Theatre can engage us through the stories and the experiences of characters, but there’s also a place for plain-speaking. This is one of those occasions and the approach works for the complexity of the subject matter. Some might be tempted by a more conventional dramatic development of the athletes’ stories, but I appreciated the fact that the play kept leading me back to the debate and kept me focused on the ideas rather than lost in the drama. Many people, including Jane Lloyd Francis, have commented on how they feel the issues in the play will have more relevance after the Olympics and Paralympics are over. I was honoured when Paralympians Steve Judd and Suzannah Rockett Coughlan attended the performance. They were involved in my research (see earlier blog: https://kaiteoreilly.wordpress.com/2012/05/07/leanerfasterstronger-a-week-of-olympians-and-paralympians/). It was such an intense play with almost every possible emotion I have had in relation to my sport. I must confess I found the scene regarding the end of ones career particularly poignant, as this is an area the public rarely see or to be honest care about as the next star is ready to replace them. Also the family scene was significant and again an area which is rarely touched upon. Christopher Simpson. Photo by Amanda Crowther. Such an honest and engaged response from an elite athlete is humbling as well as gratifying, for through Suzannah’s response I know I have achieved one of my intentions. I sought to tell less familiar stories around sport which revealed the particular stresses of being the national hope for gold. I will continue reviewing the process, script, production, and response over the coming days and weeks, and give sincere thanks to those who have taken the time and effort to enter this dialogue between spectacle and spectator. A STRIKING tableau greets the audience as they enter the auditorium, with the four actors striking sporting poses while balancing on stage blocks. This is the shape of things to come as the actors combine fluidity of movement, including rearranging the performance space, with words that move fast through various scenarios. The actors take on different roles to explore issues of what sacrifices elite sportspeople and their loved ones make, at how pure sport really is in our money-driven world and at how technologies could affect sporting achievement and all of our lives. As part of the city’s contribution to the artistic response to the London 2012 Olympics, Kaite O’Reilly’s new play is a beautifully written and timely examination of issues that have far-reaching consequences beyond the sporting arena, perhaps even as to what it will mean to be human in the future. This is a chilling prospect as she says in her programme notes that she has been looking at the future of real elite sport science. On a more intimate level, the actors Ben Addis, Kathryn Dimery, Morven Macbeth and Christopher Simpson perform compellingly as individuals and a team to look at what all this means for the people involved, from the athlete whose sister says his pursuit of his Olympic dream has damaged their whole family to the boxer who constantly pushes mind and body to the limit. A smooth-talking sports promoter hangs around in the background like a vulture assured of a next easy meal, ready to drop a star who is past their best. Ouch! podcast: Is a disabled cyborg the future of elite sport? 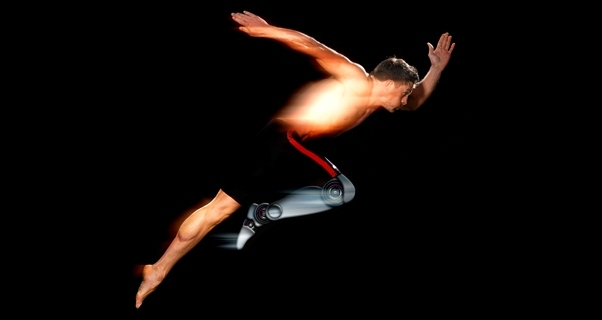 LeanerFasterStronger: is a disabled cyborg the future of elite sport? Disabled playwright and author Kaite O’Reilly, who is one of the guests on the next edition of Ouch!’s disability talk show (due online towards the end of May), was approached by Chol Theatre to write a play about sport and the human experience as part of imove, Yorkshire’s cultural programme for the London 2012 Olympics. 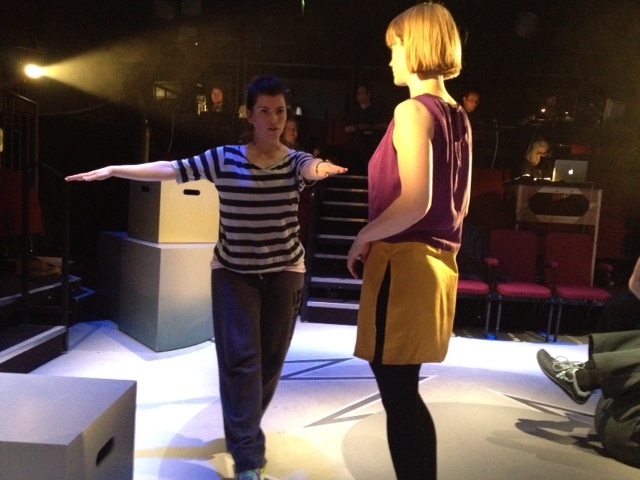 The resulting play, LeanerFasterStronger, opens at Sheffield’s Crucible Studio theatre today, Wednesday 23 May, and runs through to Saturday 2 June. For background research, Kaite carried out detailed interviews with scientists and elite sportspeople, and also experimented in motion capture labs – where disabled and non-disabled performers saw their bodies moving as a sequence of animated dots which she says were “freed from the preconceptions that go along with viewing the same body moving in the real world”. She became very interested in genetic and bio-engineering of humans as a species – even the idea of a ‘cyborg’. 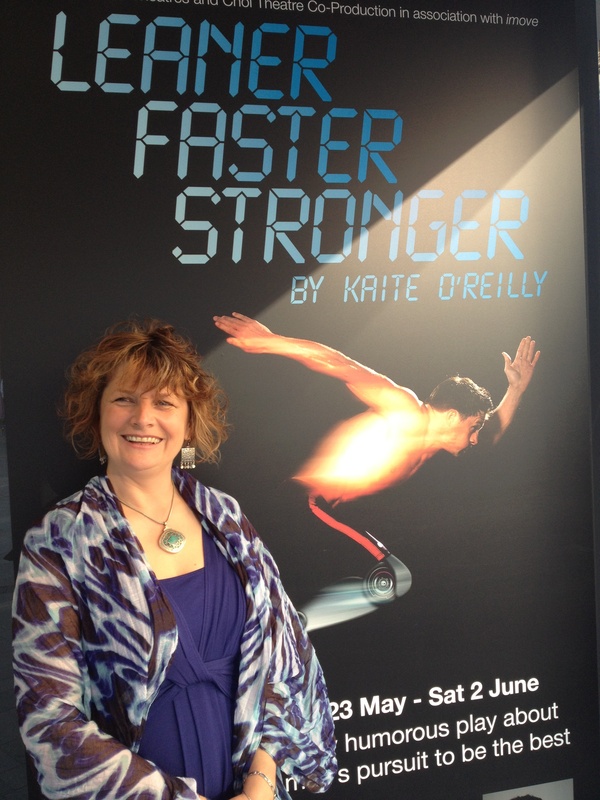 In this guest post for Ouch!, Kaite O’Reilly looks at how this emerging science could influence the possible future of both disabled and non-disabled elite sport – which is also the focus for her play, LeanerFasterStronger. Will we ever reach the point where impairments are ‘cured’, or ‘fixed’ in vitro? People have asked me about my stance on these developments and, as someone who culturally identifies as a disabled person and a disability artist, I know well how complex and emotive the subject can be. Yet in the context of elite sport – and the fictional world of the play I have written – other avenues open up. As the strapline for the show goes: How far would you go to be the best? Cheat? Dope? Enhance yourself biologically to be LeanerFasterStronger than your competitors? The reality is that we may fast be approaching a glass ceiling about what humans can ‘naturally’ achieve. Elite sport is big business, and the play asks whether we can expect to continue breaking records and ‘improving’ every year without a little ‘help’? In the 1980s, women’s athletics went through a golden period when phenomenal records were set. Decades on, those records have not been matched or beaten. The turnaround came with the introduction of dope testing. Since those (cheating?) halcyon days, women’s athletics have apparently slipped down the scale in popularity. In athletics, it seems that spectators want a spectacle, to be inspired and excited. Watching people fail to come anywhere near a world record set thirty years ago just doesn’t cut it. There is an argument that sport tests what is possible for humans to do – it favours the ‘Übermensch’ – the idealised, ‘perfect’ human being. The commercial side of sport is reliant on new records being broken, showing more thrills and spectacle, to keep the fans involved. Various sports journalists I spoke with while researching the play said that the real excitement and focus in 2012 will be on the Paralympics. Coverage of Oscar Pistorius and his carbon ‘blades’ fills many column inches, and he has become a poster-boy for the future – the next exciting development in sport. This then offered a perspective to me: what if, in the future, the ‘ideal’ athlete is one who has impairments and who can benefit from the speed of Pistorius, ‘the fastest man in the world on no legs’ as the New York Times described him? Developments in wheelchair racing and cycling have the bone inserting directly into the frame – ‘bone melding with steel’. LeanerFasterStronger asks whether, for a spectacle-seeking audience, the future ultimate sportsperson may in fact be a disabled one. 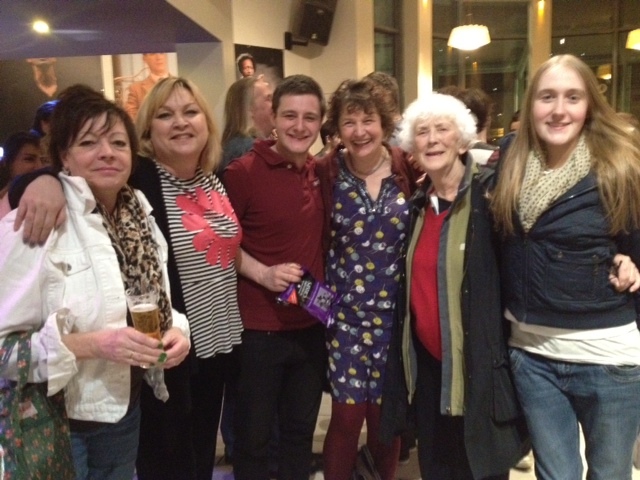 KOR outside The Crucible Theatre on LeanerFasterStronger press night. Press nights are a particularly theatrical tradition. It’s when the production officially opens, the critics come, and the company parties like there’s no performance tomorrow, invariably ending up dancing in cages in dodgy nightclubs as the dawn threatens to rise. Taking the Dramatic temperature of your Script. Tuesday 29 May 2012. 6-9pm. A practical checklist for effective and dynamic drama: tension, pace, plot, and emotional engagement. Led by multiple award-winning writer of this season’s LeanerFasterStronger, Kaite O’Reilly. I’m also part of a debate on new writing at the West Yorkshire Playhouse on Wednesday 30th May: Is it time to get rid of new writing? I think it’s fantastic when one of the season’s produced playwrights is also involved in the educational outreach work of a theatre. My Saturday workshop included teachers, students, a young in career playwright, and professional director and performers. It was wonderful to be working together in the rehearsal room of the Crucible, allowing a true meeting of audience and writer, current theatre practitioner and the future generation… It’ something I love doing and feel that theatres don’t do enough. When we parted at the end of the workshop, several of the participants went off to buy their tickets to see the production, later. How often do you have the opportunity to be taught by the playwright whose work you’re seeing that evening? It’s a great initiative, and very typical of Creative Producer Andrew Loretto’s ethos – to open the doors of theatres and allow more access. LeanerFasterStronger runs at the Crucible studio until the end of this week, with a matinee on Thursday 31st and Saturday 2nd June at 2.15pm and the evening performances at 7.45pm. 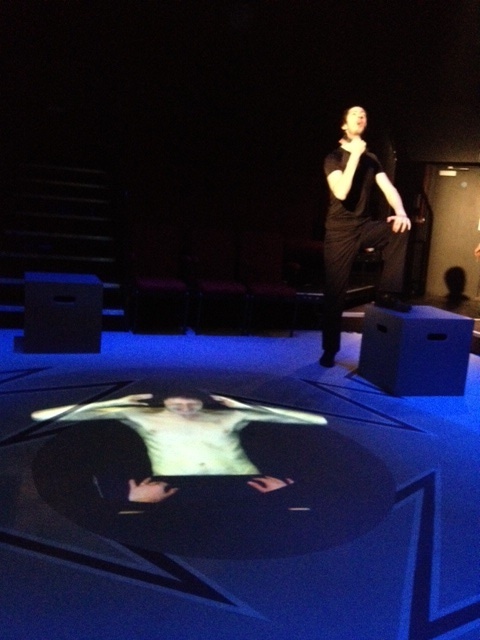 LeanerFasterStronger: The joys of tech’… 48 hours to opening. 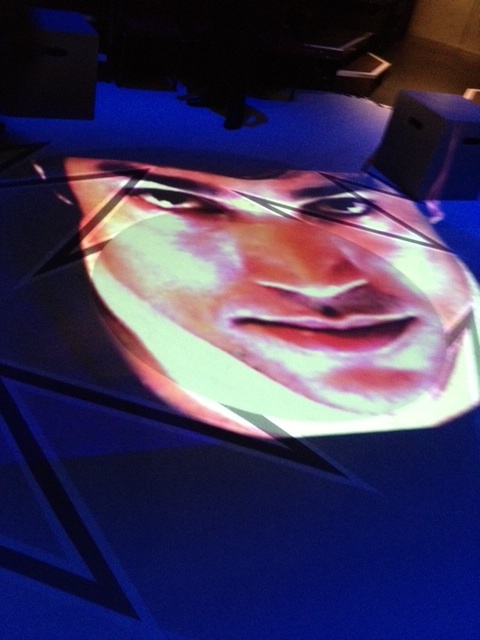 Christopher Simpson in designer Shanaz Gulzar’s floor projection. It’s technical rehearsal in Sheffield Crucible Studio for LeanerStrongerFaster… A magical time, when all the individual elements which make a production all start coming together. The devil in the detail…Movement advisor Lucy Cullingford demonstrates a last minute alteration to actor Morven Macbeth. This is the very first time all the different strata – the text, the action, the lighting, the video projections, the physical scores, soundscape and musical composition have been layered and brought together. It’s also the first time I have got a sense of what this performance may be – the jigsaw is being pieced together – and it’s an incredibly exciting and gratifying time. 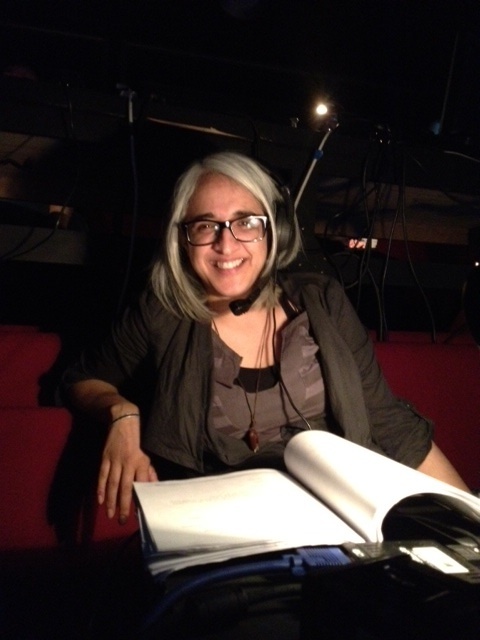 Designer and video artist Shanaz Gulzar in tech’. Technical rehearsals are notorious… If things go wrong, they can be hellish experiences sapping the energy out of the full company. But if they go right…. The relaxed, smiling image of our designer and video artist, Shanaz Gulzar, tells the full story. The crew work fantastically together, the actors are eager, focussed and full of energy, and the day passes with a surprising amount of pleasure. The cast and background lights from the crew. By 10pm when we call it a day, I have a sense of the extraordinary complexity in Andrew Loretto’s production. He has set us off on separate but joined creative paths – me initially writing the script and trying to imagine the world of this immersive theatre experience – Shanaz making her wonderful video projections – Shane Durrant creating an environmental soundscape and original composition – Gary Longfield painting with lights…. The actors have made their own in-depth explorations, discoveries and interpretations – but one person, Andrew as director, has been holding this all together in his imagination. Tomorrow (it’s past midnight…later today) we complete the tech’ and present the work for the first time in a public dress rehearsal. It will be exhilarating to try it out in front of an audience – and I can’t wait. All photographs taken by Kaite O’Reilly in technical rehearsal at Sheffield Theatres. Copyright 22nd May 2012. John Simm in Pinter’s Betrayal (to 9 Jun) in the main house may be getting all the attention, but Kaite O’Reilly’s play in the Crucible Studio feels very much like a play for today. In fact, with the country gearing up for the Olympics, its emphasis on the pursuit of gold and always being the best is particularly pertinent. It examines whether there’s a cost associated with the pursuit of excellence, and what “the best” means in a world of smart drugs, designer babies and genetic modifications. O’Reilly is a writer to cherish who should be more widely known, and this show promises to offer deeper insights around science, enhancement and what it really means to be human.